Wide spectrum of vitamins - including B-Complex Vitamins - which supplies Thiamin, Riboflavin and vitamin B-12, B-2 and B-6 to aid absorption, release energy from food and support brain function. High Iron, Calcium and mineral content - organic Iron & Calcium for maintaining healthy blood, bones, nerves and muscles. 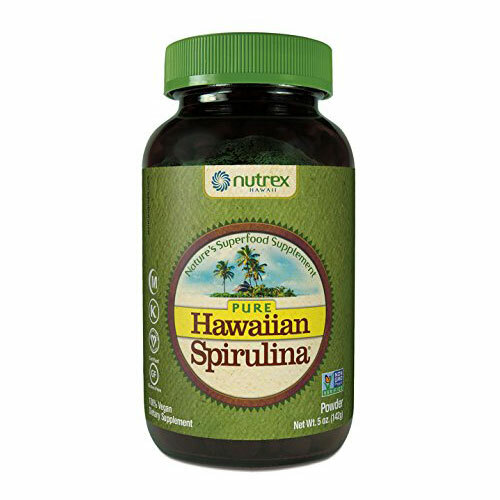 Spirulina is nature`s richest wholefood source of Biochelated Organic Iron, which is completely non-toxic. 58 times richer than raw spinach and 28 times richer than raw beef liver. 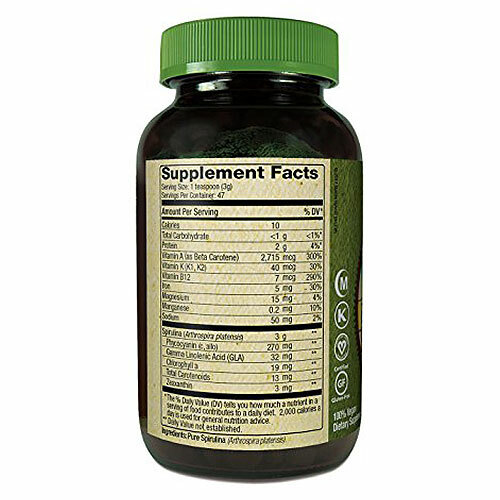 Gamma Linolenic Acid (GLA) - an essential fatty acid thought to help maintain a healthy heart. Important for anyone needing additional nourishment including dieters, athletes, convalescents and the elderly. Natural Carotenes & Antioxidants - helping to support the body in the cleansing of harmful `free radicals`, thus maintaining skin and hair and general well-being. Spirulina contains every natural antioxidant known; the antioxidant vitamins B-1 and B-6; the minerals zinc, manganese and copper, the amino acid methionine; and the super-antioxidants betacarotene (25 times richer than raw carrots), vitamin E and trace element selenium. 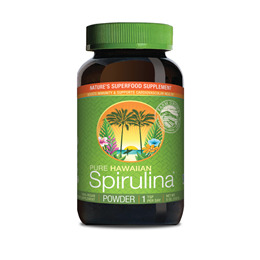 1 serving of Spirulina is equal to 5 servings of fruits and vegetables. Below are reviews of Nutrex Pure Hawaiian Spirulina Pacifica - 142g Powder by bodykind customers. If you have tried this product we'd love to hear what you think so please leave a review.